Today is one of those rare days when I don't feel like taking a shower...I've got tons of projects to finish, sponsors to call, and emails to send. I've been up since 2am, still working on my laptop to beat my event on February 20. Good thing I have Body Shop's Satsuma Body Butter to keep me smelling citrus--y fresh for up to 24 hours. 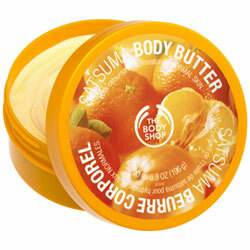 Satsuma is my most favorite Body Shop Body Butter for it complements my body chemistry. Satsuma is best normal skin, it helps moisturize skin for 24 hours. ■Satsuma essential oil moisturizes skin and provides a natural citrus fragrance. 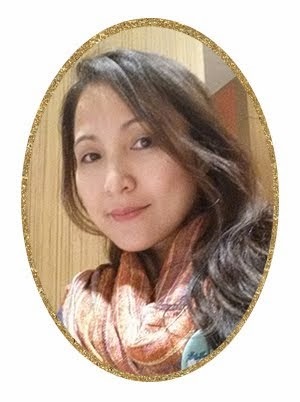 ■Community Trade shea butter moisturizes and protects skin with a high level of antioxidant vitamins A, E and F.
from the looks of it..so fresh na ang mabango..hmm..ito pala sekreto mo sis..hehehe..
thanks for playing my Orange Tuesdays..see next week..
my orange is up too..see yah! Now I know the secret to your flawless fair skin! Penge nga. hahaha! Hope you'd visit my site too and see our orange jellies. Looks interesting one. Mine is up. I love eating Satsumas, the real fruit, I bet I'll like this hihi. Thanks for the tip, will look for this sa BS next visit! I can already smell it's sweet scent. Late bloghopping for Tuesday Orange, come see mine when you have time. I haven't tried that yet. I'll check that one when I go to BS.